Ford Shelby GT500 2012 in blue color with red stripes with a cobra logo is available with optional SVT-designed Recaro front seats. These Recaro seats are also available in the Mustang Boss 302 2012. Check out some awesome Shelby wallpapers after the jump. Following on the heels of the reengineered 2011 Ford Shelby GT500, Ford’s Special Vehicle Team (SVT) is going further for the 2012 model, delivering the ultimate race-caliber seating experience along with selectable steering for even more driver control. The optional leather-trimmed sport bucket front seats were designed by SVT in cooperation with Recaro® to enhance the high-performance driving experience. Lateral bolsters in the cushion and seat back are used to ensure drivers have the support needed on the track during hard cornering and to deliver a comfortable ride. The seats sport an embroidered “cobra” logo and stripes that are color-matched to the exterior stripes. They also come complete with integrated head restraints with ample room for drivers and passengers wearing helmets on the track. Openings on the seat back also are included for customers looking to create performance setups for their car on track days. The Recaro seats are the result of a global team effort led by SVT along with the Mustang engineering group in North America, Team RS in Europe and Recaro. These seats are also available in the 2012 Mustang Boss 302. 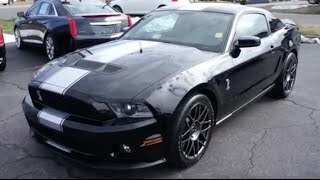 The 2012 Shelby GT500 now gives customers a selectable steering option that tailors the driving experience to fit their needs. With a choice of three settings, the feature allows the customer to select the steering effort depending on his or her style of driving. The selectable steering option is available across the entire Mustang lineup for 2012, though on the Shelby GT500 the settings were specifically tuned on both the base car and Performance Package configurations. 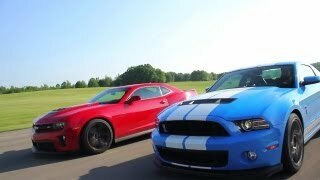 The assist levels are less than other Mustang models, since the Shelby GT500 customer typically demands more road feel. 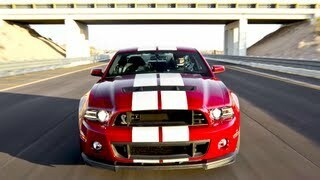 SVT engineers were able to develop the multiple steering assist levels within selectable steering because of electric power-assisted steering (EPAS), first introduced on the 2011 Shelby GT500. It uses electronic instead of hydraulic components. Engineers also took advantage of EPAS by providing lower efforts for parking and low-speed agility without sacrificing on-road feel. Sport mode provides the most road force felt through the steering wheel and requires the highest level of steering effort, allowing the driver to be more in tune with how the vehicle reacts to the road. Comfort mode provides the least amount of road force felt through the steering wheel and requires the least amount of steering effort, which is ideal for long, relaxing drives. Standard mode also is available and is a balance between the comfort and sport settings. Additionally, when the customer selects sport or off mode within AdvanceTrac®, Ford’s stability control system, the vehicle automatically switches the steering to the sport mode for improved road feel and higher, more progressive efforts. Also in that mode, active nibble control and drift pull compensation are shut off to give the customer maximum road feel in aggressive driving maneuvers. The steering settings are accessed and programmed through the message center. Also new for 2012 are illuminated dual visor vanity mirrors, a universal garage door opener and multipurpose sun visor storage. 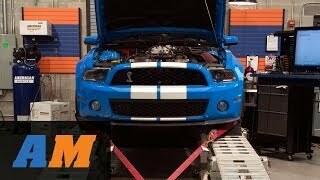 The 2012 Ford Shelby GT500 also takes connectivity to the next level with SYNC® AppLink. AppLink is the free software program that gives SYNC users voice control of apps stored on their smartphone. The Shelby GT500 will be the first vehicle in the Mustang lineup to offer AppLink with the standard SYNC interface, as well as being integrated into the optional voice-activated Navigation System and providing the additional convenience of an 8-inch touch screen for control. Co-developed with Ford, the Clarion Navigation System available on Shelby GT500 is loaded with a number of features and functions designed to provide customers a superior level of connectivity and information, including an extensive set of navigation tools as well as up-to-the-minute news about weather, traffic, fuel prices, movie listings and more through SiriusXM Traffic and SiriusXM Travel Link™. Infotainment features are also abundant with the Ford Navigation System, including HD Radio™ technology, a digital jukebox hard drive that can store up to 2,400 songs and easy access and useful screen displays for SiriusXM Radio. And since the Navigation System is factory-installed, it also works seamlessly with SYNC. The navigation screen menu for SYNC apps first lists available factory-installed system apps such as 911 Assist™, Vehicle Health Report and SYNC Services through Traffic, Directions and Information. Additional lightweight soundproofing measures help filter unpleasant, high-frequency noises, while a tuned intake and dual exhaust add the sounds Mustang buyers relish. Occupants also benefit from new door seals and a rear wheel arch liner that reduce road noise for a quieter, more enjoyable drive. A one-piece instrument panel is designed to help further reduce interior noise. The convertible model also features enhanced structural rigidity, with lateral stiffness improved by 12 percent versus the 2010 model. 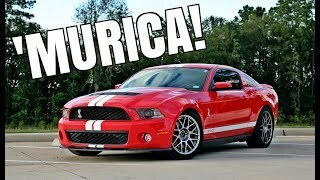 The 2012 Ford Shelby GT500 is built at the AutoAlliance International Plant in Flat Rock, Mich.